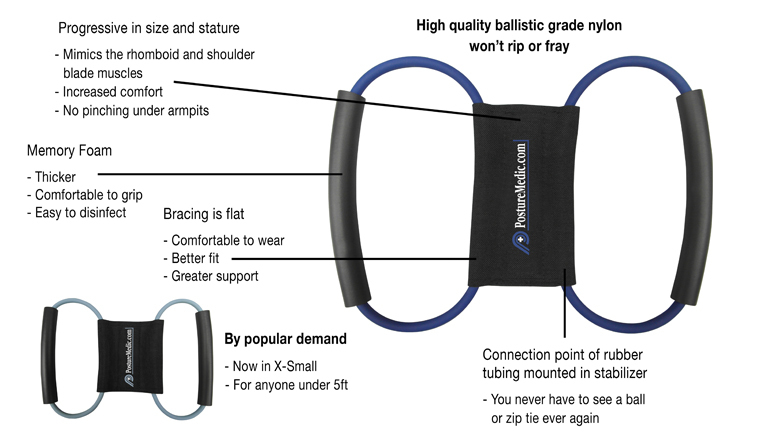 The Posture Medic is a posture reminding resistance band that helps you stretch, strengthen and stabilise your back. We developed a 6-week program to guide you towards better posture. You will learn how to stretch those tight muscles in your chest, neck and back. This increases your range of motion by loosening tight muscles, thus allowing you to straighten your back. Our strengthening exercises specifically target the muscles in your neck and back that help you maintain proper posture. These back and neck muscles are often overlooked when working out and are underutilized due to our poor posture.